The following extract is taken from Flight Centre magazine The Experts, with words by Steven Short and photos as credited. 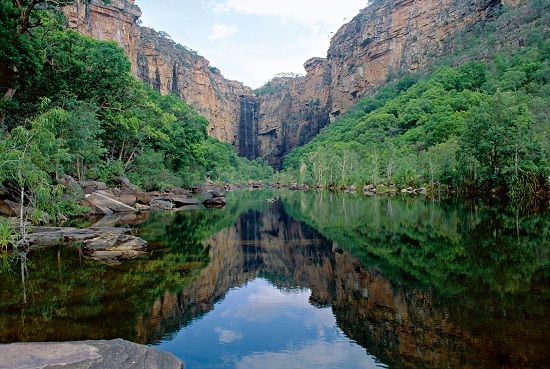 The North boasts a majestic, untouched landscape rich in Aboriginal history and beautiful nature. 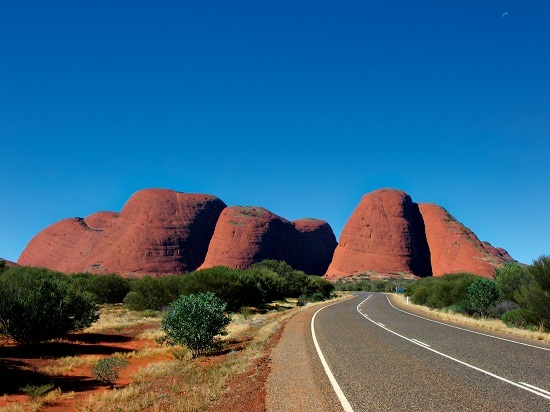 Home to Uluru (Ayers Rock), this incredible region offers a holiday like no other. One of the most iconic symbols of the outback is The Rock – seeing a sunset or sunrise here when this sandstone monolith glows a fiery red should be on everyone’s bucket list. A UNESCO World Heritage Site set in the Uluni-Kata Tjuta National Park down towards the south-west corner of the Northern Territory and close to the geographical centre of Australia, it’s a sacred place for the Anangu, the Aboriginal people of the area. Explorer William Gosse christened it Ayers Rock in 1873 after his superior Sir Henry Ayers, the Chief Secretary of South Australia, but in the 1980s, the region was returned to its traditional ancestors and renamed Uluru. So, who better to guide you around this 348m-high wonder than an Aboriginal guide who will tell you about their unique culture and beliefs and about the local bush, flora and fauna? Another significant site in this 311,000-acre national park is Kata Tjuta (many heads), or The Olgas. This is a group of more than 36 red-domed rock formations looming 546m above the desert floor. The Rock is served by the small resort town of Yulara but, regardless of where you stay in this humbling landscape, you’re surrounded on all sides by awe-inspiring, russet-hued plains that are home to springs, waterholes and deep rock caves. And night time brings a spectacle all of its own as the clear sky twinkles with constellations on an inky canopy. Five hours from here, further still into the red heart of Australia, is Alice Springs, the third largest town in the Northern Territory. This famous outback town 200km south of the geographical centre of Australia started life as a telegraph station some 140 years ago but is today a great place to get a taste of indigenous Australia. It straddles the Todd River on the northern side of the MacDonnell mountain ranges, which are also home to examples of Aboriginal rock art, and is surrounded by huge chasms and gorges formed in a stark red desert. For a memorable outback experience, walk along the gulley floor of the Standley Chasm, whose sheer walls have been gouged by floods and cut through tough quartzite to form a picturesque natural alleyway. It’s at its most impressive an hour either side of noon, when the sunlight shifts across the soaring cleft and you’re treated to a rare display of reflected light and shade. Visit the compact but fascinating Museum of Central Australia to see some outstanding geological displays of meteorite fragments, fossils and Australian Aboriginal artefacts. Inspired to explore this spectacular region for yourself? Find cheap flights to Australia (and ask about our £200 accommodation credit offer)!